Being back on dry land for a few weeks has now made me realise that booking a five week cruise probably wasn’t the brightest idea I have ever had, because now I have the worst cruise blues, ever! Actually I wouldn’t even call them cruise blues I think the more appropriate thing to say would be that I feel kind of homesick! Home doesn’t actually feel like home anymore, I left that behind in Southampton. It’s such a strange feeling especially as I not only miss just being at sea I miss the annoying aspects of life on a ship too like being woken up by the thrusters as you dock in yet another foreign land. 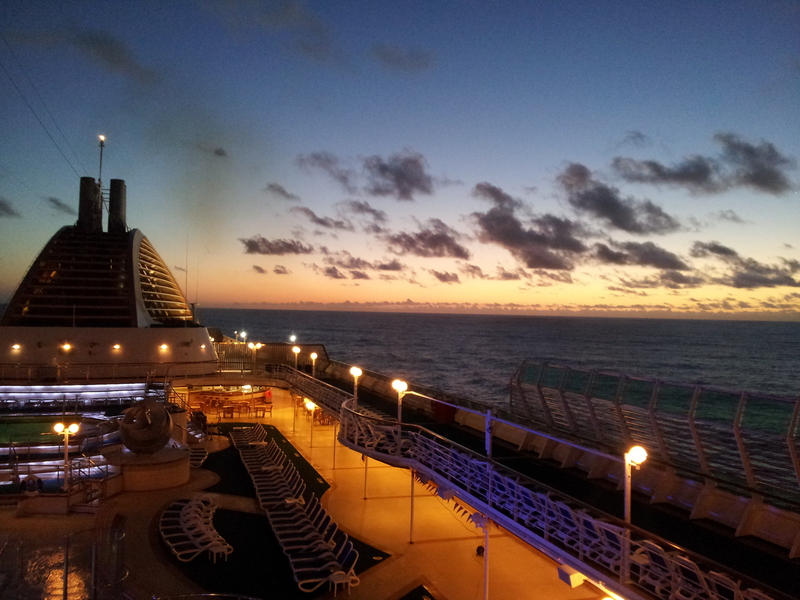 I miss the people, the atmosphere, the motion of the ship…..you name it I MISS IT!!! I think the only thing I don’t miss aside from the prawns is the food. It was definitely nice to come back and not eat as much. During a previous cruise I had a conversation with one crew member and it always sticks out in my mind. I asked him if he enjoyed his job, you know, the usual run of the mill questions. He said yes but then followed with I no longer like going home though, I miss the ship and at home I can’t sleep because my bed is so still. There’s definitely something in the sea air that pulls you in and makes you want to stay onboard for more or less eternity. Either that or the cruise lines put something in the water! I was heading into town last week, I boarded the metro and I sat looking at the people around me, making their daily commute to work. They all look the same in dress plus most of them miserable and all of them cold. 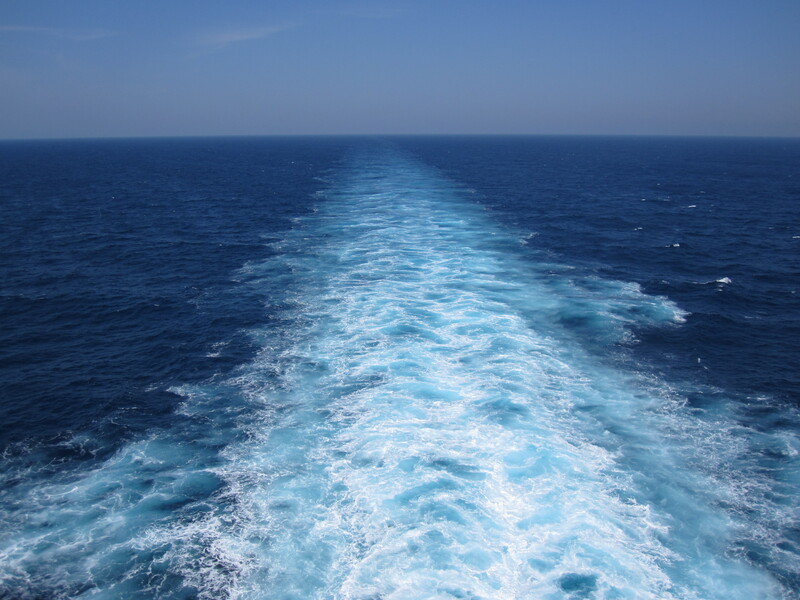 I couldn’t help but think to myself, there really is an entirely different world at sea and it must be great to wake up in the morning and only have to go up a few decks in order to get to work. It made me realise how monotonous some of our lives can be but that sadly for a lot of us there is no other choice. I can’t even watch the adverts on TV now that have anything to do with cruising. I love the Royal Caribbean Advert that has been making the rounds for the last several months but it’s the shot of the ship at the end that makes me twist my face up every time because I wish I was out there too! April 2012 we came home from a world cruise that lasted three months. 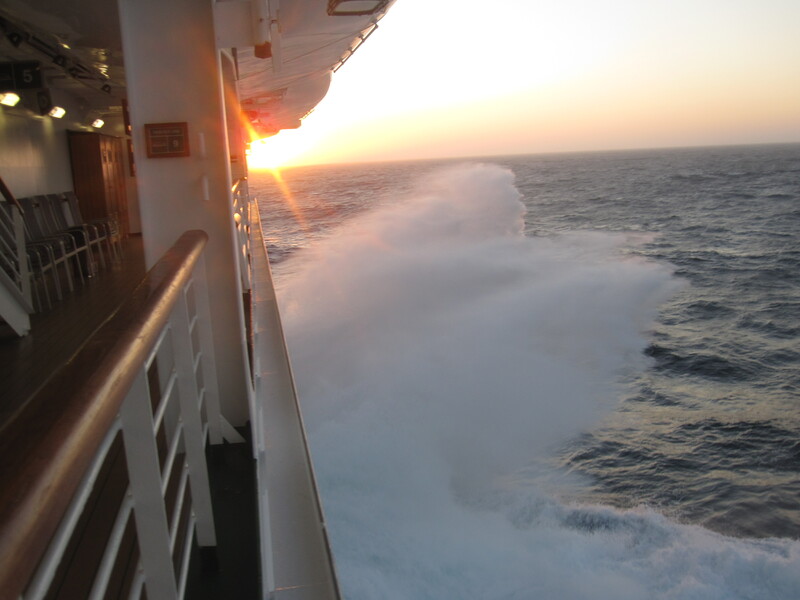 That feeling of ‘loss’ that you talk about lasted for several months afterwards, and the nagging desire to book another long cruise has not faded. You become comfortable with a ship after a few weeks, the cabin is your retreat and the bars and lounges are your town centre and the open decks are a country walk. Being in a port is like having a short break holiday in a different land with different cultures, smells, and shops. The fellow passengers are your neighbours and the crew are friends. Yet somehow there is still a little spark of something not being quite right, and home is always at the back of your mind. When there was about three weeks left and we were back in the Med I had come to terms with going home and was actually looking forward to it. That lasted just a few days before the memories came back and the ‘itch’ returned. Thanks for putting my feelings into words! I can so relate. When I’m on dry land, the sea is always calling me. Thank goodness for Tivo because I fast forward through the commercials to avoid seeing them. Sad, but true. The only thing that takes that feeling away? Planning another cruise because then I can focus on the future. I haven’t cruised nearly as much as you have, Danielle, but I can totally relate to what you’re feeling. Every time I come back from a cruise, I get so sad because I feel like I belong out there on the ocean. I just love so much about it. I think the one thing that makes it better is planning another cruise. I just wish I could afford a world cruise. That would be the ULTIMATE dream come true! It’s something in the air and the swaying of the ship. That’s what makes me happy. So many places to see in this world and there is no better way to get there than by ship!